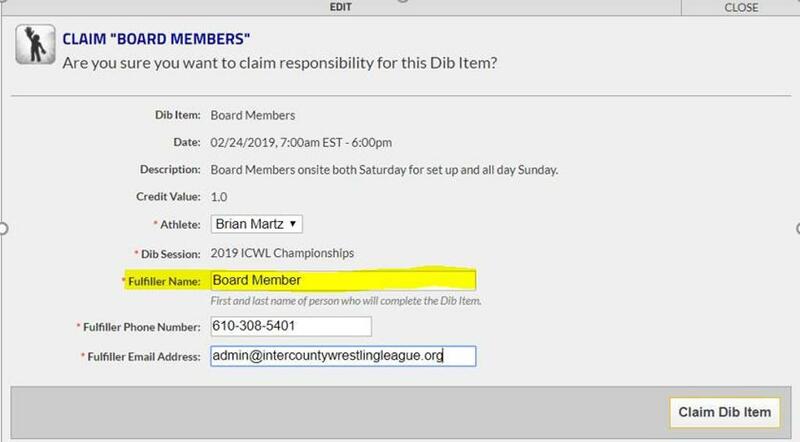 Registration link is at the bottom of the page to Volunteer for the 2019 ICWL Championships. Please coordinate between your coaches and reps who will handle the signup so we don't get duplicates. There will be a check-in and check-out procedure this year to ensure that we are not left with 5 people at the end of each session trying to get the last few things wrapped up. When you arrive you will check in with Brian Martz (or someone else appointed at a later date). Before you leave, you will check out with Brian Martz (or someone else appointed at a later date). If you don’t check out , your team will be fined. If you don’t show up, your team will be fined. We don’t want it to be this way, but the last few years we have been left with just a few people wrapping up. If you are signing up for Set up and Clean Up, you as a team are committing to both Saturday night and Sunday after the tournament. Different individuals can show up hence the two different sign up options. Clean up supplies- paper towels, spray, trash bucket, etc. Pencil/pen and some paper can't hurt just in case. You will need 3 people at the table at all times. One to throw the towel OR walk out to the mat and tap the ref. Walking out and tapping will also help with the pace of the tournament by preventing the ref from having to get the towel and throw it back. In addition, you can watch this YouTube instructional video ahead of time too. It is a tutorial on how to run the computer-based scoring/timing system.